It would be rare to have an animal its entire lifetime without experiencing some type of behavior problem or training situation that might be helpful in managing your pet. Also, behavior problems are often complex and may require a more skilled professional with knowledge in animal behavior. So how do you know who to call? What’s the difference between the two? How can you assess their skills, training and education? Training professionals generally teach dogs skills such as sit, down, stay, recalls, and walking on lead. They may also help with other basic training issues. Some trainers are also educated in solving behavior problems. However, behavior problems can be complex, not all animal trainers are sufficiently educated in ethology, conducting behavior assessments, and learning theory, these types of situations should be referred to individuals that are more skilled so the animal’s welfare is protected. You can expect to pay a fee for their instruction and prices may vary depending on your region and trainer’s expertise. The behavior consultant assists in managing, resolving, and educating pet owners how to prevent and resolve behavior problems. Behavior problems include aggression, fear and phobias, separation anxiety and house-training. These types of problems will not be resolved through training classes or obedience instruction. The behavior consultant identifies the problem or conflict constructing a behavior modification plan that you implement to change undesirable behavior. Additionally, they demonstrate how to correctly apply training recommendations and/or behavior protocols. Behavior consultants do not do the work for you, rather they work with you providing guidance and coaching that helps you achieve your goals. Behavior consultants are often qualified to work with multiple species. Behavior consultants should have sufficient education in animal behavior and ethology, specifically any species, they may work with. Because behavior consulting requires on-going support, they often work hours maintaining case files in addition to time spent with you. These hours are spent setting up case files that can include historical information (behavior questionnaire) gathered during the initial consult, observation notes, videos, client agreements, individualized written behavior protocols/plans, copies of correspondence during the course of the behavior/training process and on-going notes on progress,changes to original behavior protocols/plans, and sometimes veterinary contact. These responsibilities can be vast, time consuming but necessary to keep all cases moving toward resolution. Many organizations provide certification, often to individuals who are graduates from their programs. In many cases, these certifications are not valid or credible and do not represent true professional certification. You should look for independent certification programs without affiliation with independent training programs or schools. Beware even within the independent testing organizations; testing can be subjective and does not prove or guarantee proficiency. In addition, you should look for education in their field, experience, ethical criteria, letters of recommendation, testing or professional review of the individuals work. You may also want to know whether the certifying body requires academic or college education for certification. Behavior consultants/specialists have often studied animal behavior at college or graduate levels. Behavior consultants/specialists use a variety of titles. Two organizations allow behavior consultants the use of specific titles such as applied animal behaviorist or veterinary behaviorist. These organizations are Animal Behavior Society and American College of Veterinary Behaviorists. It is generally accepted inappropriate for one to use “behaviorist” if not qualified through these professional organizations. However, dog trainers work in an unregulated industry allowing them to misrepresent credentials and/or qualifications. Anyone can use titles regardless of expertise or education. It’s up to you to determine their credibility and expertise. Ask trainers where and what kind of training they claim, how long have they been training, what type of experience they have and what type of training methodology they use. Ideally, you want trainers who use pet friendly training methods and consider punishment as last resort. Ask behavior consultants where they received their education in behavior and where they learned to become a behavior consultant. You should consider whether they have received any academic training in animal learning and ethology and if they received any supervised practical experience that could include working with a veterinarian specializing in animal behavior. Additionally, you should evaluate other important skills when selecting a trainer and/or behavior consultant/specialist. The following is a brief list. They should have good communication and social skills and you feel comfortable talking with. They should treat humans and animals with respect and empathy. when training and recommending applications for behavior modification. The trainer and behavior consultant should emphasize the importance of focusing and encouraging the right behavior, rewarding using positive reinforcement dog friendly training methods. Trainers and behavior consultants should emphasize the importance that your success is contingent on working with your dog with their guidance, rather than recommending to train the dog for you. There are exceptions, this can be successfully done, however, it’s important you are aware how your dog will be trained, using what types of equipment and methods. You should ask the trainer to demonstrate their methods. Avoid trainers or behavior consultants offering guarantees. Unless your pet lives in a vacuum, no one can ethically guarantee behavior or training outcomes. Offering guarantees of satisfaction with professional services is a completely different requirement. Ask if you can observe a training class or private session. 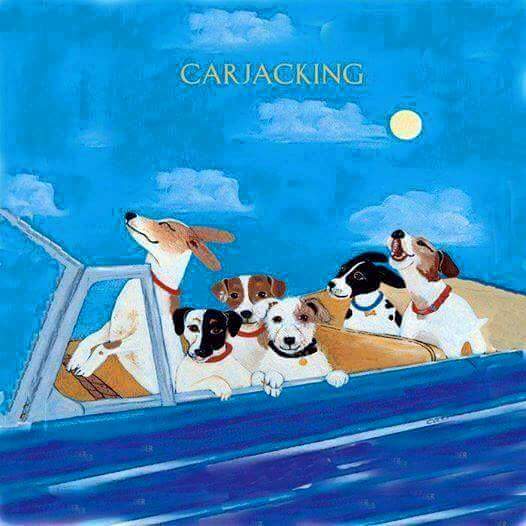 Look for whether or not the dogs seem to be enjoying themselves. Make sure you are comfortable with any suggested training methods. Be careful, you need to understand what dogs are communicating. Unscrupulous trainers often mislead you using biased interpretations of dog behavior and what you may be observing. It’s not likely you can observe a behavior consult, but you can ask for references. Avoid classes or trainers who promote choke, prong or shock collars, these tools are outdated and not necessary. There are other options available i.e. head collars or harnesses that are effective when modifying behavior problems. If a trainer or behavior consultant asks you to do something uncomfortable to your pet, don’t be intimidated by them, tell them how you feel. Don’t allow them to do anything to your pet unless they tell you first what they are going to do and you agree. Make sure when you consult with a behavior consultant they encourage you to check with your veterinarian first. Behavior problems can be medically /physiologically related and resolved with treatment. Most trainers and behavior consultants are not licensed nutritionists, use caution with anyone who suggests dietary or nutritional changes without the advice of your veterinarian or qualified pet nutritionist. Only veterinarians can prescribe pharmaceuticals for your pet. It won’t matter how good the trainer or behavior consultant is if you are not willing to follow through with recommended training or behavior plans. Without training practice introduced into your everyday interaction with your pet, you likely will not achieve desirable results. Hetts, Suzanne & Estep, Daniel. Raising a Behaviorally Healthy Puppy – A Pet Parenting Guide. CO: Island Dog Press. 2005. American Veterinary Society of Animal Behavior Position Statement on Punishment. American Veterinary Society of Animal Behavior Position Statement on the Use of Dominance Theory and Behavior Modification in Animals. Pet Professional Guild Position Statement on the Use of Shock in Animal Training. 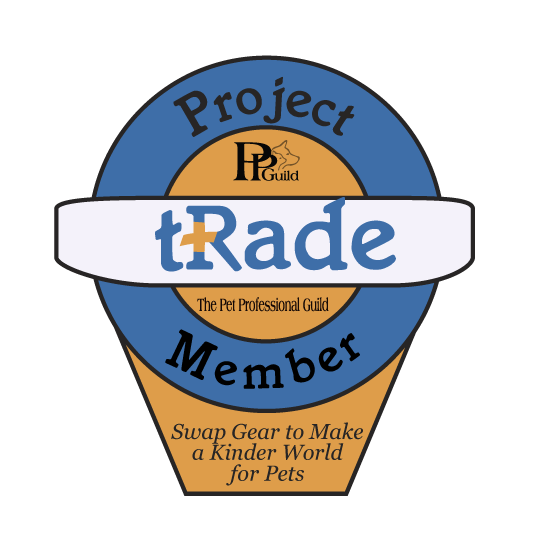 Pet Professional Guild Position Statement on the Use of Pet Corrective Devices. Pet Professional Guild Position Statement on the Use of Dominance Theory in Pet Training.